September 10th, 2018 On this week's Tech Talk our Tech Expert Chris Rader has tips on things you should do in order to make sure your technology helps you through the storm! August 13th, 2018 On this week's Tech Talk with Chris Rader, we're talking ride sharing services like UBER. August 6th, 2018 This week on Tech Talk Chris Rader talks about the rapid growth of local online delivery services. It's changing the way we shop and eat in a big way! 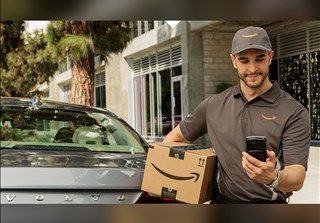 July 30th, 2018 On this week's Tech Talk with Chris Rader, we're talking about the convenience of quicker delivery from online retailers like Amazon. It is changing the way we shop. July 23rd, 2018 This week our tech contributor Chris Rader talks about the Online Marketplace in Tech Talk. If you're on Facebook you've certainly noticed it has now become a hub for peer-to-peer selling. We take a look at the various sites where you can now sell your goods. July 16th, 2018 On this week's Tech Talk, our tech contributor Chris Rader shares tips on keeping your emails secure. July 3rd, 2018 This week our tech expert Chris Rader talks about why you should secure your computer. June 18th, 2018 Is your phone safe from those who seek to do harm? This week in Tech Talk Chris Rader talks about why it's so important to protect your phone. June 4th, 2018 This week our tech expert Chris Rader talks about the new features coming to Facebook. If you're looking for love, the social media giant may be the place!